At Fire Extinguisher Service Center, we are proud to offer sales and service of Fire Extinguishers, Fire Suppression Systems, and Kitchen Exhaust cleaning. With 35 years in the industry, you can focus on running your own business with the peace of mind that your fire protection equipment is compliant, operational, and ready when you need it. Our family of employees is dedicated to offering you the best service possible at a great price! Fire Extinguisher Service Center provides total system expertise to help maintain your commercial kitchen vent hoods and fire suppression systems. Our in-house experts bring together all the elements you need for fully integrated hood ventilation and fire protection systems in your Nevada or Northern California commercial kitchen. Fire Extinguisher Service Center will provide the inspection and maintenance schedule to keep your system in compliance. We keep accurate inspection and maintenance records that are required by code and AHJ officials. We provide immediate response to fire suppression system discharges whether accidental or from a fire to get your system back into service as quickly as possible. 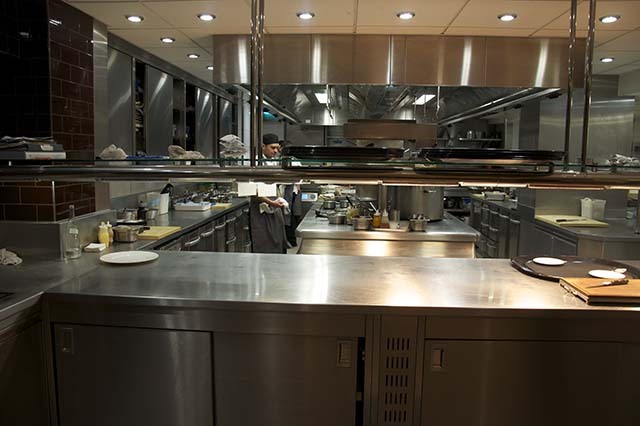 A properly cleaned and compliant kitchen exhaust system means cleaning beyond what is immediately visible. There are three main components to your kitchen exhaust system; the hood, the duct, and the fan. Our licensed and trained technicians clean the entire system from top to bottom, ensuring that all accessible surfaces are cleaned to bare metal. When used properly, fire extinguishers can save lives and property by suppressing small fires in your Nevada building while you wait for additional help to arrive. If you need help choosing a fire extinguisher, or if you need fire extinguisher inspection, service or training, call Fire Extinguisher Service Center today!